Asking to be excused from dinner and saying "please" and "thank you" are as important as brushing teeth and getting a good night's rest. These are things that someday the kids will need when they want to date someone or to have a business dinner. Start the children young, learn the art of restaurant and fine dining etiquette, plus smart snacking. 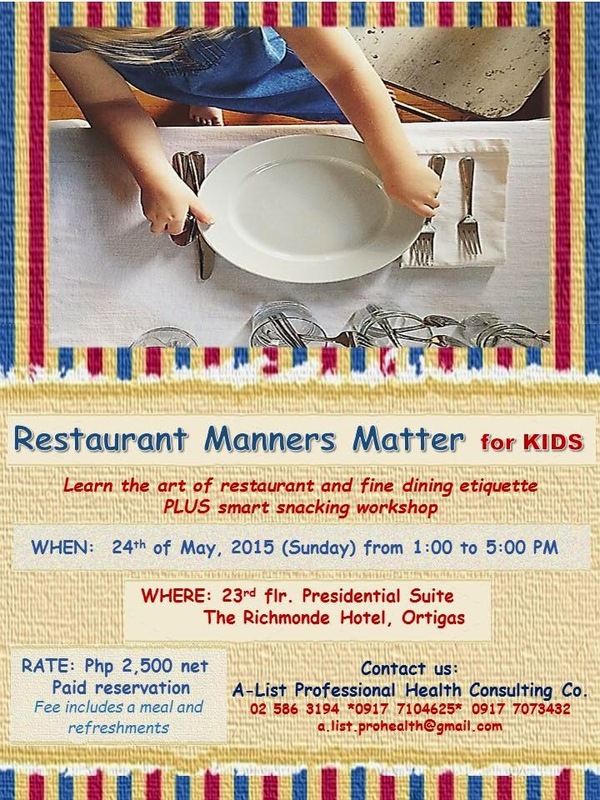 Let your kid/kids join Restaurant Manners Matter on May 24th, 1pm to 5pm, at Richmonde Hotel, Ortigas. 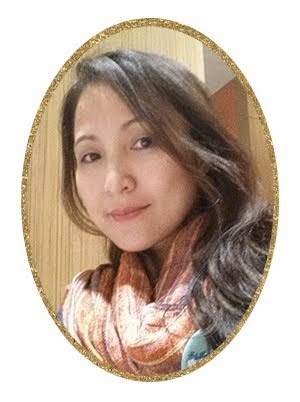 Fee is P2,500 per kid. For more details email: a.list.prohealth@gmail.com, contact (02) 586-3194, 0917-7104625, 0917-7073431.